Well, this is tough to watch. Game 2 is already complete, of course, and the Cavs are now down 2-0 and have a very slim chance of even sending the Finals to six games, much less winning. Yeah, he’s definitely not staying in Cleveland, is he? 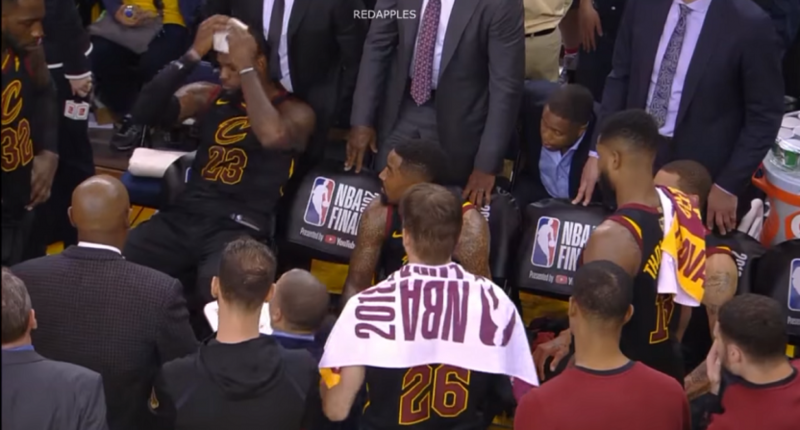 That’s a tough stretch of video to watch, especially as LeBron just sits and refuses to talk to Smith or Hill for the few minutes at the start, although that’s not unexpected, all things considered. But that series of plays is likely going to be all anyone remembers from this Finals, unless LeBron can will his team to victory at least once in Cleveland. It’s definitely not impossible, but at this point, it’s hard to bet on that happening.